This year at NAMM I came across some very interesting developments in the electronic drumming universe. Technology today is getting really good, so I thought I’d share with you some of the coolest things I found. and their DCP (Digital Cymbal Processor), you can essentially have unlimited sounds with the ability to shape each cymbal sound as well. 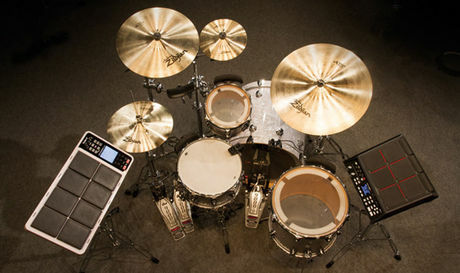 Now you don’t need 200 different cymbals and you can control the volume of each of them to match every situation! 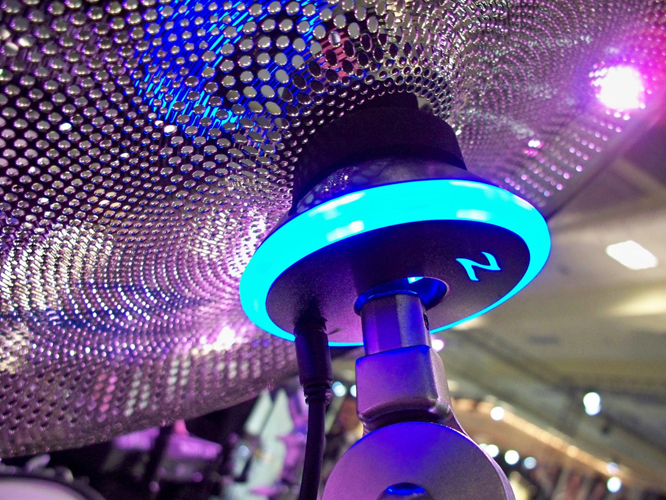 Keep in mind, this setup is not a trigger, it actually consists of the sensor that attaches to the cymbal and an LED light preamp module (which can change colors when your strike the cymbal) that attaches to the cymbal stand and acts more like a very specific microphone, that then plugs into the DCP. This overall concept gave me goosebumps when I saw it in action, the possibilities are endless! 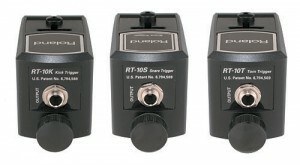 Now drum triggers have been around for a while but usually they are not very accurate. Aquarian now makes a drum head with a trigger BUILT IN to the actual 3-ply acoustic head called inHEAD. 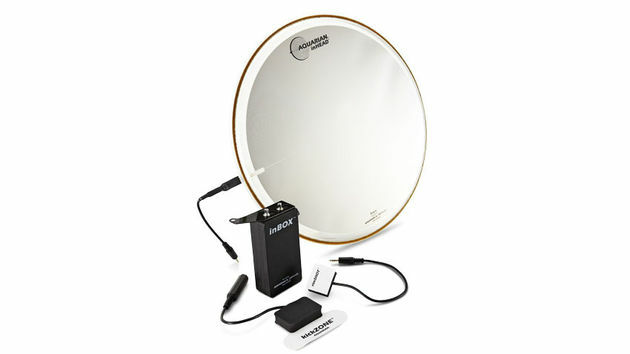 When played, they sound like great studio recording heads but when hooked up to the quick release inBOX (combination signal booster, trigger conditioner and inHEAD power supply) they can be used with perfect accuracy with any drum trigger module. This is due to the FSR (Force Sensing Response) technology built into the entire head that requires pressure to make the connection rather than the typical vibration type sensing that can cause mis-firings and loss of dynamics. 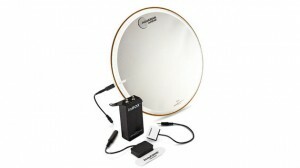 They even make the rimSHOT and kickZONE triggers so you can have separate sounds for the rim and kick drum easily. 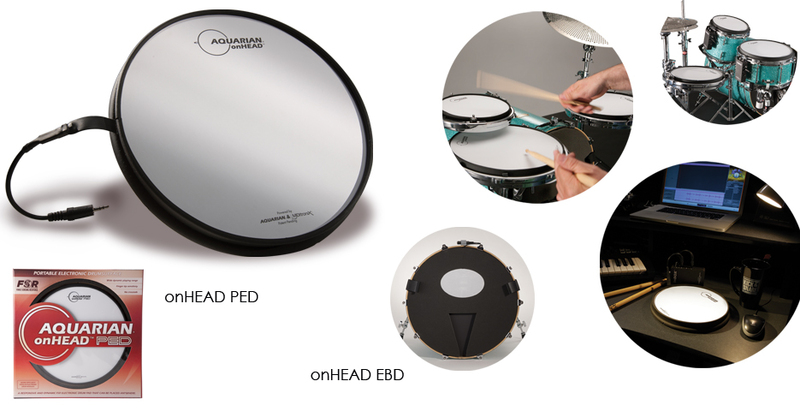 If you want something that is very quiet with electronics, Aquarian now makes a product called onHEAD PED that you simply place on the drum that incorporates their same FSR technology for very accurate triggering. 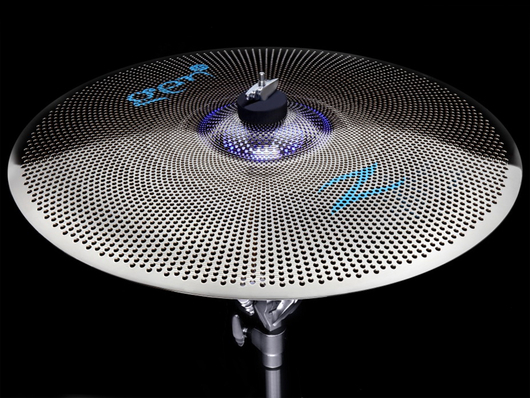 It’s essentially a great feeling drum pad that sits on your drum head and plugs into the inBOX to send the signal out to your drum module. With this concept, they also developed a product for your bass drum called onHEAD EBD that works the same way with very little acoustic sound created! 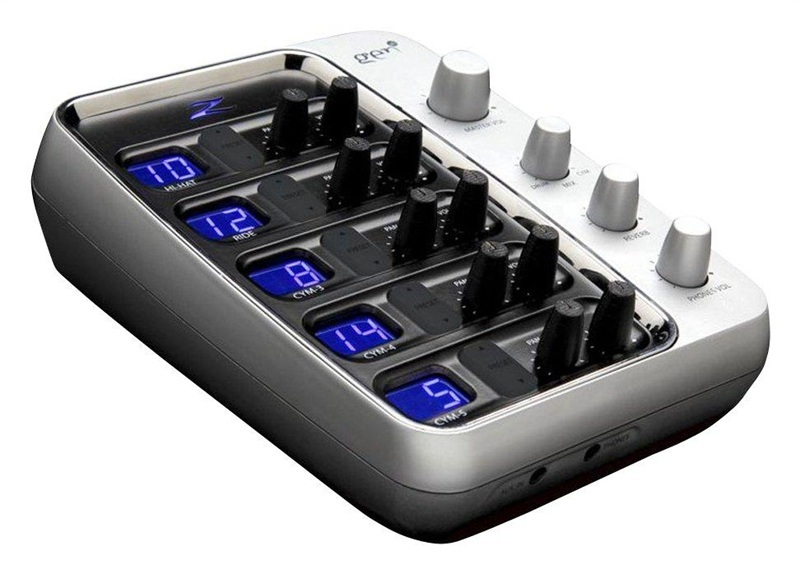 to create a virtually silent electronic setup when combined with any drum module. 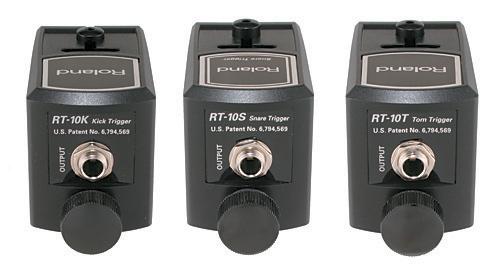 Roland also makes a curved bar trigger now meant to blend seamlessly into any acoustic drum setup that’s pretty cool as well. Interesting stuff right!? I hope you can incorporate some of this new found knowledge when building your hybrid kit, there’s a lot available to us today. 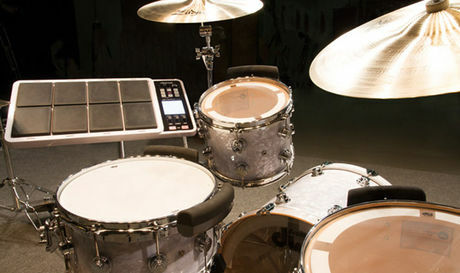 What drumming electronics have you used before and what were your results? 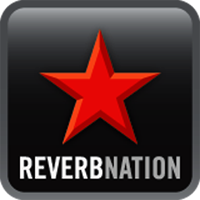 This entry was posted in Uncategorized and tagged Aquarian, Drum, Drummer, Drummers, Drumming, Drums, Electronic Drums, FSR, Gen16, inBOX, inHead, kickZONE, NAMM, onHEAD, Remo, rimSHOT, Roland, Ryan Gio, Zildjian. Bookmark the permalink. ooh superb! Really very interesting article and in this article have a good information.Thumbs up for you.Thanks for sharing the great article. Thanks electronicdrumguy! Rock and Drum On!